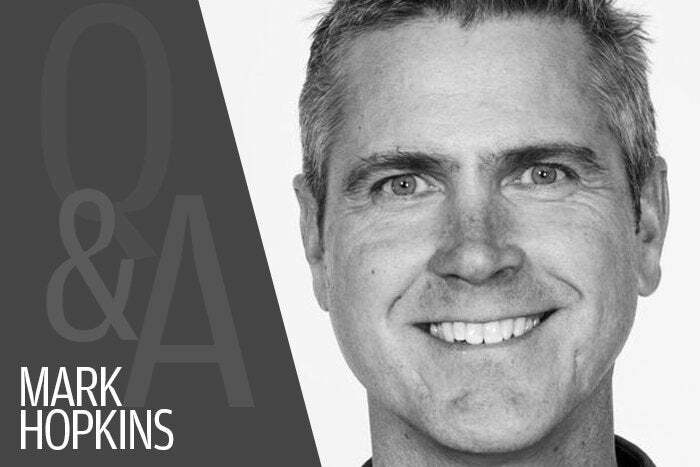 As CIO at Skullcandy, Mark Hopkins is responsible for worldwide IT, Digital, and Customer Service. His team is constantly adapting to and meeting the challenges of a rapidly growing business using technologies such as cloud computing, data warehousing, and virtualization. Prior to Skullcandy, Hopkins worked in Silicon Valley for fabless semiconductor manufacturer Xilinx where he managed the Operations Business Solutions group, a global team responsible for implementing systems and processes to streamline operations. Here, he shares his career path and offers advice for aspiring CIOs. What was your first job? My first job out of college was as a production control planner at Cypress Semiconductor in the San Francisco Bay Area. It was an amazing time to be part of the chip industry, which gave Silicon Valley its name. Did you always want to work in IT? No. I majored in Economics and French in college so I thought I would be working for the World Bank or some other international finance firm. Once I started my planning job I quickly realized how much I liked supply chain, and how critical IT systems were to making accurate and quick decisions. I pivoted and began to learn as much as possible about programming, databases and business applications. Tell us about your career path. After four years at Cypress, and having transitioned part time into a business applications development and analytics role, I moved to another semiconductor company, Xilinx. There, I took on a full time role implementing supply chain planning systems. Technically, it was a “shadow IT” role but I worked very closely with the IT team. Eventually my team at Xilinx expanded to support supply chain analytics and some early dashboards, and we created a number of web-based applications to support the supply chain group. At the time, the web-based apps were relatively new and it was really cool to be innovating in that area, connecting business applications, processes, databases, and manufacturing partners inside and outside the firewall. As I advanced in my career, I had the chance to be program manager for Xilinx’s Oracle ERP implementation so I dove into the world of massive scale software, supporting a $2 billion global company. I did take a career detour; after 13 years at Xilinx, my wife and I decided to sell the house, leave Silicon Valley, and move our family to Park City, Utah. Looking back on it now, there was no reason other than feeding some restlessness on both our parts, and the desire for a lifestyle change oriented more towards the mountains and outdoors. After doing odd consulting jobs for a year and a half to make ends meet, I connected with headphone maker Skullcandy, which was in full startup mode at the time, located right in Park City. I was the first full time IT employee they hired. In the time I’ve been here we’ve gone through hyper growth, acquisitions, international expansion, an IPO, and we’ve recently gone private again and sold our gaming business to Logitech. Along the way this has presented many interesting IT challenges for my team. What business or technology initiatives will be most significant in driving IT investments in your organization in the coming year? We are in the midst of replatforming our website to BigCommerce. We expect that effort to provide us with a lot more agility and it will be managed mostly by our in-house digital team. As has been the case for several years now, analytics will play a big role. We are using a dashboarding and visualization tool called Sisense, which has transformed the way the business uses data day to day. We are also exploring next steps with text analytics, and trying to understand how we can take the mountains of review data, social media and customer interactions and use it to drive process and product improvements.